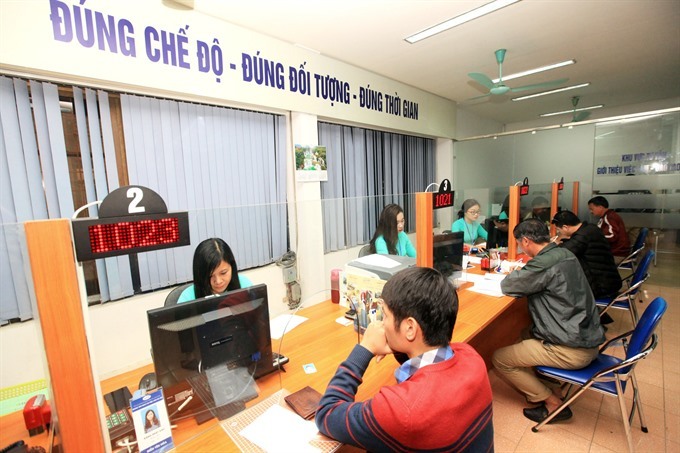 HÀ NỘI — The Vietnamese government has proposed to reduce contribution by employers to workers’ unemployment insurance premiums to facilitate “growth of enterprises” in the country by “improving their competitiveness”. The proposed cut from one per cent of employees’ monthly salary down to 0.5 per cent comes as part of a resolution issued by the government following a meeting held yesterday discussing a number of state management issues. The adjustment proposal, to be submitted to the National Assembly at its May meeting, will take effect right when the NA’s resolution on adjusting unemployment insurance premiums comes into force, and will remain so until the end of 2019. The rationale behind this adjustment was that the remaining unemployment insurance fund hit upwards of VNĐ56.49 billion (US$2.5 billion) by the end of 2016, and the fund is projected to remain secure until 2020. According to existing law, the unemployment insurance fund will be jointly raised by the state, employers and employees.